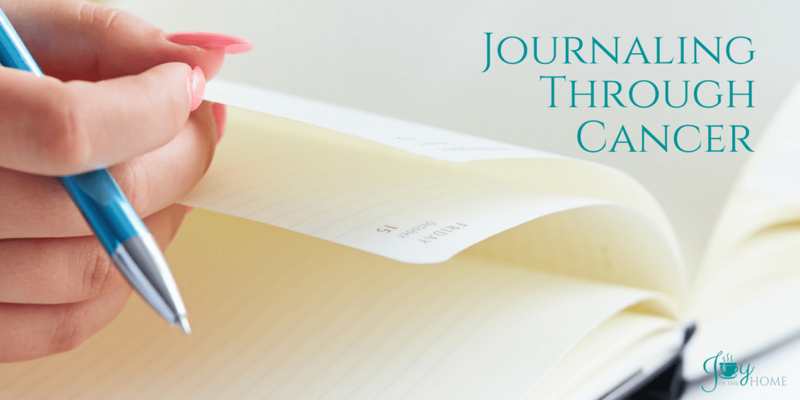 Journaling through cancer has been shown to do a lot of good for patients and loved ones. 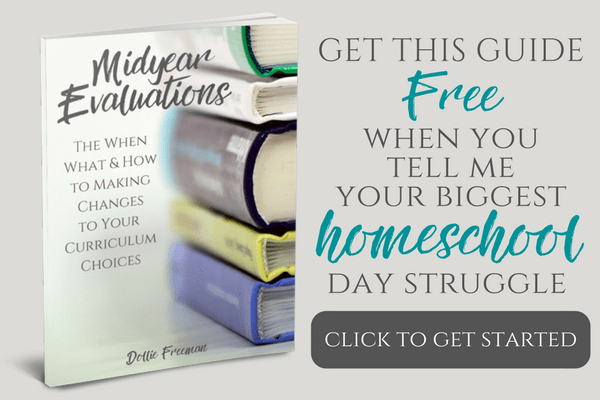 I know that I have used journaling to grieve the lost of 5 pregnancies and turned to it when my dad was diagnosed with cancer for the second time, and with direr outcomes expected. There is power in the written word, especially when releasing it from the emotions of things out of your control. My dad has been sick for quite some time, but when he was first diagnosed with a tumor in his lung, it shook us as a family. Fear griped our minds, as we braced for the unknown that lied ahead. I remember the joy we all felt the day he rang his chemo bell to symbolize his end of chemo. He still had a few more radiation treatments to go, but the end was in sight. Over the new few months, we got word that his tumor had shrunk a great deal, and my dad was still doing what he could do to stay health, and celebrate the new health he was feeling. Our family enjoyed him oxygen free over the summer, and loved seeing him laughing and enjoying life again. However, that all seemed to change quickly, when my dad started to feel poorly again. He began to retreat to wearing oxygen again for most of the day. Before we knew it, he was back in the hospital and needing some more testing. That is when we got the news. His cancer is back and bigger than ever. His tumor was now the size of tennis ball. A tennis ball in the lung! I couldn’t look at anything round without thinking about it in my lung. An orange, an apple, my dog’s ball all became this tumor in my mind. I couldn’t wait to go visit my dad in New York for Thanksgiving. Our oldest son wasn’t able to go with us due to his work schedule, so it made the trip harder knowing that for the first time I was being separated from one of my own children on an important holiday. On the trip there, I got a call from my mom telling me that my dad was in the hospital again. The next morning, I went to visit him right before attending my uncle’s funeral on my mom’s side. It was a hard day for our family to say the least. My uncle had died of lung cancer, so as you can imagine, we were all taking it very hard. It was then that we found out that my dad had to have a procedure to remove 1.5 liters of fluid off his lung. Think about nearly a 2 liter bottle of soda pressing on your lung. Thankfully, he was able to enjoy Thanksgiving at home and around family. However, the news came at the beginning of December that we all weren’t prepared to hear. The cancer was spreading and quickly. Just a few weeks before Christmas, my dad had another 1.5 liters of fluid removed and a tube put in to help drain any additional fluid that would produce itself down the road. I was emotionally a mess. I couldn’t get out of bed at the time since I was running a high fever and sick, myself. It added to the spiral effect that I was experiencing. It was then that I knew that I needed to journal. I needed to write my feelings and thoughts out for my own therapy. I needed scriptures and healing quotes to fill my mind with positive thoughts, and to ponder the things that I was thankful for, even on the hardest of days when all seemed gloomy. It was then that I realized that I was creating my cancer journal that I had wanted to create when that first diagnosis came. I started pouring my energy and focus into creating this just in time to get it to my parents and siblings for Christmas. I was giving the gift of hope for Christmas. My daughter was busy helping with the design and getting it submitted to Amazon for print. 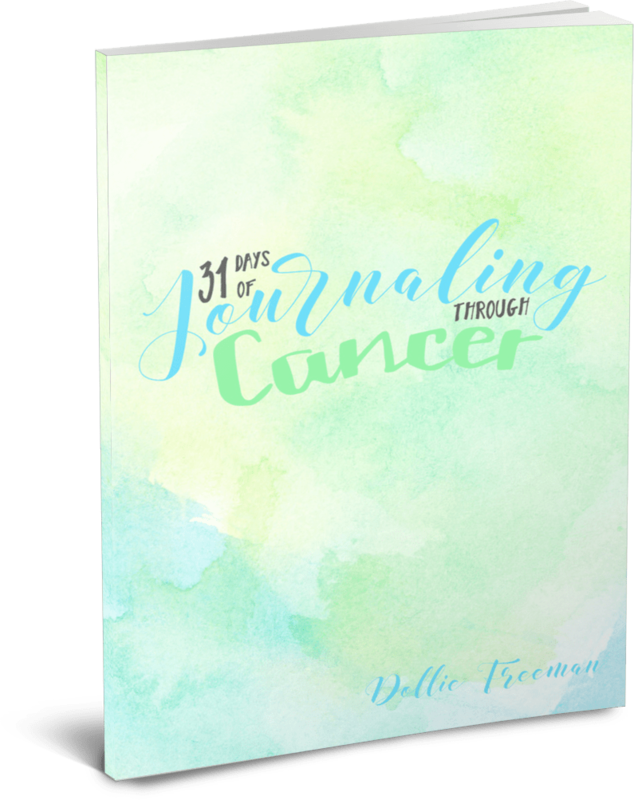 The joy I saw on my parent’s face when I gave them their own 31 Days of Journaling Through Cancer was priceless. I turned the pages to some of my favorite verses and quotes that fueled me through my tears and emotions. It was so nice to be able to all come together on Christmas, and smile through the trial while having talks of positivity and ‘we are going to beat this supporting each other like we never have before’. Positive reflection – Positivity is key to healing and the fight against cancer is no different. Dwelling on anything positive is so important and necessary. Negative release – We all have negative thoughts, and until we release them in writing our mind continues to deal with these thoughts. Write them down and forget them! Words of encouragement – We all need each other, and encouragement is often overlooked while battling cancer. In my journal, you have space to capture the encouragement, big or small, from others or even encouragement that you find on your own. I’m thankful for – There is so much to find in the fight against cancer that can take your joy away, but also the heart of thankfulness. Making it a daily habit to find at least one thing to be thankful for is a way to battle cancer with the mind, and never giving up. A few days after Christmas when my family left New York, my mom told me that she has been using my journal. She told her it makes her cry a lot, but it is really helping her walk through her feelings and find a positive mindset to face the day ahead. My gift of hope keeps on giving, because those words were my words of encouragement that day. My dad is about to start his second round of chemo, and I’m looking forward to hearing that bell ring a second time. 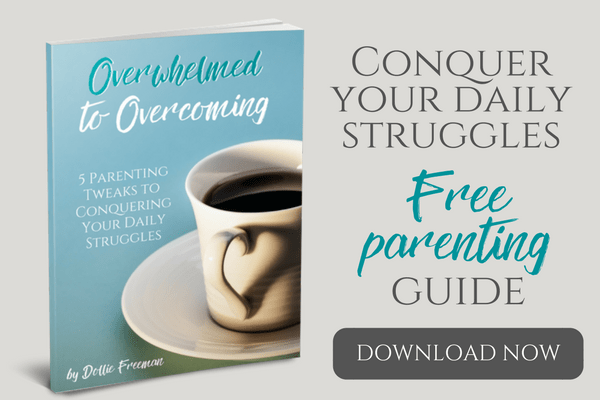 If you are facing the hardest fight of your life, or that of a love ones, I want to share the gift of hope with you as well. You can journal the four parts that I shared in this post, but if you are like me and feed off positive words of scripture and quotes of health and healing, then I encourage you to get your 31 Days of Journaling Through Cancer, and use your mind to fight against cancer today. 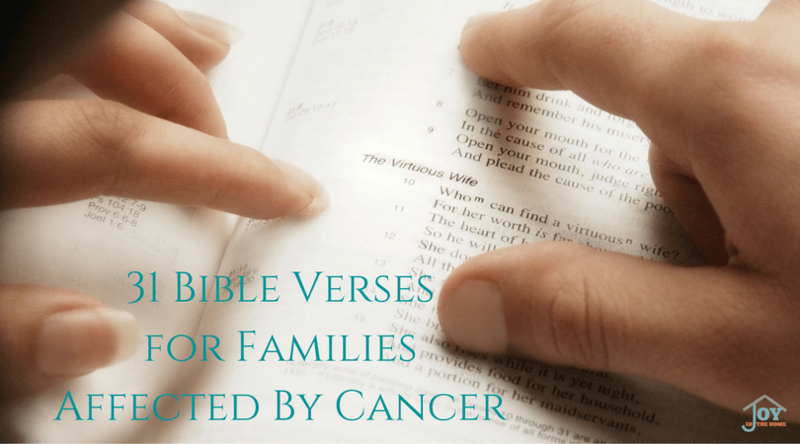 You may find this post helpful in your journey to battling cancer, as well.